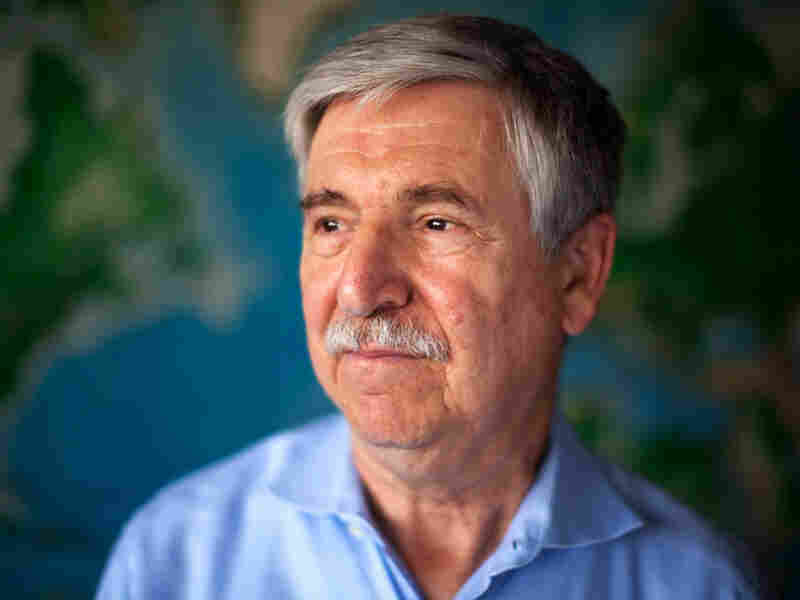 Diplomat: 'Ghosts In The Room' Plague U.S., Iran John Limbert, who spent 444 days as a hostage in Tehran, stepped down as head of the State Department's Iran desk on Friday. Limbert says that while the White House has made persistent efforts to change the tone of America's relationship with Iran, conflicts between the two nations are deeply ingrained. John Limbert stepped down Friday as head of the State Department's Iran desk. In 1979, Limbert was one of 52 Americans taken hostage during the Islamic Revolution. He was held for more than a year. John Limbert has deep roots in Iran. Three decades ago, he was one of the 52 Americans taken captive in Tehran during the Islamic Revolution. And last year, he came out of diplomatic retirement to become the State Department's point man on Iran. But now, after just nine months in that job, he's leaving. "The Obama administration has been in office now for over a year and a half, and I think everyone thought we would be in a better place with Iran," Limbert tells NPR's Guy Raz. "Not necessarily that we would be friends, but that we would at least be talking to each other on a regular and civil basis." Limbert says that while the White House has made persistent efforts to change the tone of America's relationship with Iran, conflicts between the two nations are deeply ingrained. "I think the Iranians, either out of a sense of insecurity or internal paralysis, seem unable to respond positively to what everyone sees as a very sincere effort at outreach," he says. He recounts a conversation that a colleague had with an Iranian official, who said, "Look, if we Iranians cannot get along with a Barack Hussein Obama, who speaks to us of mutual respect, who sends us greetings on Persian New Year, then it's clear the problem is not in Washington, that we have a problem," he says. But assigning blame is not that simple. "When you sit down with the Iranians ... there are these ghosts in the room," he says. "If you ignore them, they will come back to haunt you." A history of conflict is not the only challenge impeding diplomatic efforts with Iran. Limbert says that, after 30 years of hostility, there are few remaining American officials who understand the Iranian culture and speak the language. "I like to joke to find someone with that experience they had to go to Jurassic Park and find someone of the species I call an Iranosaurus," he says. Limbert is a member of that species. When he was released from captivity in 1981, he says, he believed that it would be only a short time before the United States and Iran would again have a relationship. "When I left Tehran in January of 1981, I thought, 'OK, five years -- 10 years maybe -- we and the Iranians in some way will be talking to each other,'" he says. "I was obviously wrong." Limbert's last day was Friday. He'll return to teaching at the Naval Academy this fall. And he says he does have hope for the U.S.-Iran relationship. It's all about volume. "We've been shouting at each other for 30 years," he says. "When we're not shouting at each other, that is a form of progress."